﻿ Emerald Landscape Supply - The best value and service, the finest mulches, loam, soils, hardscapes and masonry supplies in Southeastern MA, Cape Cod and Plymouth - Home. 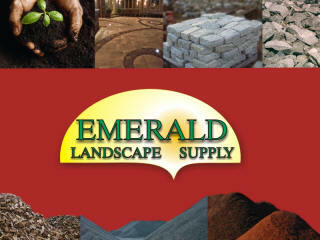 Emerald Landscape Supply is a customer focused landscape supply company serving Southeastern MA, Cape Cod and Plymouth. At Emerald we believe that success is achieved through quality, consistency, dedication and integrity. Now Offering Belgard and Cambridge Hardscapes! We are excited to announce that, in addition to our complete line of Belgard Hardscapes we now offer a full line of Cambridge products. We feel that this new line of products compliments our existing lines very well and we are thrilled to have an amazing display area to show off our new products. Cambridge Pavingstones have the advantage of Armor Tec. All Cambridge Pavingstones are made with ArmorTec and have a smooth, dense and skid-resistant surface with rich color that will maintain its true integrity. No unsightly holes, or blemishes from stone particles will show on the surface because only super-fine sand granules along with the highest quality cement are used. With Cambridge wall systems you can install clean and attractive free standing walls, knee walls, sitting walls, retaining walls, planters, tree rings, garden borders, columns and much much more. Come check out our beautiful new Cambridge display area located at our Cedarville yard and let your imagination run wild! Allan Block is a rare product that offers consumers quality and affordability at the same time. We feel that Allan Block will complement our existing products and allow us to offer our customers a broader range of solutions. Allan Block walls require no foundation and lock together without pins, clips or mortar. The front lip creates a built-in setback and the hollow core makes them easy to handle, easy to stack and promotes built-in drainage. Please visit our Allan Block information page for further details. Belgard sets the standard for residential hardscapes with an extensive collection of quality pavers and walls. Their vast portfolio of styles, shapes, and sizes allows you to transform driveways, outdoor kitchens, pool areas, and patios into captivating living areas you'll be proud to share with friends and family. "Whether your style is tranquil and relaxing or energized and dynamic, Belgard can help create the ambience that suits your lifestyle. Whether your plans include a cozy courtyard or an expansive patio or terrace with all the amenities, it's a world filled with possibilities." Please visit our Belgard information page for further details. Stop in and see our beautiful display areas today! Our displays are carefully constructed to provide you with an extensive sampling of our materials along with a multitude of great landscaping ideas. You will be able to see gorgeous planting beds, decorated with all of our mulch products, crushed seashells and stone products. Our displays include examples of edging, retaining walls, double sided sitting walls, fire pits, patios, driveway pavers, pervious pavers, herb gardens, walking paths and more. So please come by for a bit of inspiration! At Emerald you will find all of your favorite mulch products, such as black mulch, pine bark mulch, hemlock mulch and wood chip products. 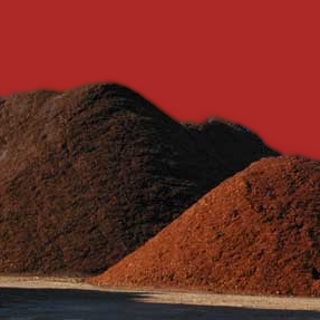 We carry rich loam ( topsoil ), horticultural mix, compost and peat to satisfy all of your planting soil needs. Whether you are looking for thermal bluestone, natural cleft bluestone, irregular bluestone, cobblestone, New England fieldstone, cut granite, treads or platforms, you will find what you need at Emerald Landscape Supply. We stock a variety of crushed and washed stone products, stone dust, dense grade, recycled products, gravel, fill, mason sand, coarse sand, bank sand and rip rap. Consider us your one-stop shop for cement, mortar, garden tools and hand tools, grass seeds, fertilizers, firewood, fire pits, hardscapes, softscapes and more. Come visit us today, enjoy our large display areas, our friendly expert service and our huge selection of quality products!